LAS VEGAS--(BUSINESS WIRE)--In advance of CES, Velodyne Lidar, Inc. today introduced trailblazing technology that will serve as the cornerstone of future advanced driving safety systems. 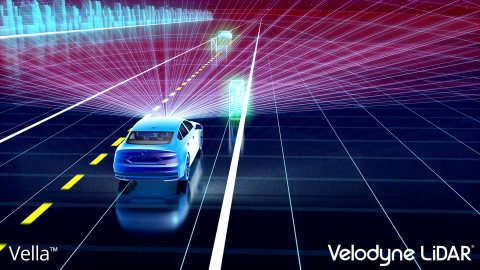 The new products strengthen Velodyne’s position as the industry leader in providing the smartest, most powerful lidar solutions for vehicle autonomy and driver assistance. 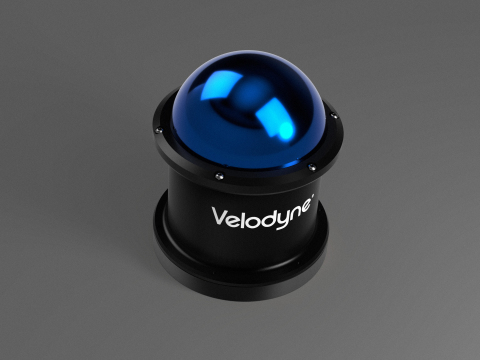 Velodyne unveiled the VelaDome™, a compact embeddable lidar that provides an ultra-wide 180° x 180° image for near-object avoidance. 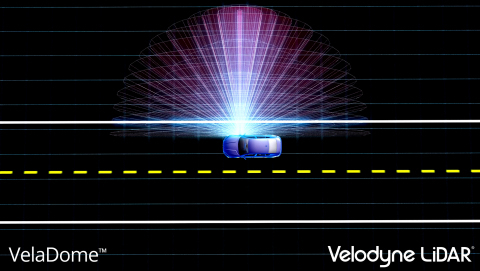 Velodyne also introduced Vella™, breakthrough software that establishes its directional view Velarray™ lidar sensor as an integral component for advanced driver assistance systems (ADAS). Velodyne presented a groundbreaking advanced driver assistance solution that builds upon its directional view Velarray sensor. Vastly superior to existing approaches that utilize camera+radar, this solution will revolutionize advanced driver assistance functionalities currently on the market, such as Lane Keeping Assist (LKA), Automatic Emergency Braking (AEB), and Adaptive Cruise Control (ACC). The VelaDome’s game-changing hemispherical field of view and high-density image present a quantum leap in pedestrian, cyclist, and blind-spot detection. The compact sensor is ideal for a variety of mounting and styling options. Powered by Velodyne’s patented Micro Lidar Array (MLA) technology, the VelaDome is optimized for manufacturability and designed to meet automotive-grade standards. Like all Velodyne sensors, VelaDome has world-class technical support available across North America, Europe, and Asia. Velodyne provides the smartest, most powerful lidar solutions for autonomy and driver assistance. Founded in 1983 and headquartered in San Jose, Calif., Velodyne is known worldwide for its portfolio of breakthrough lidar sensor technologies. In 2005, Velodyne’s Founder and CEO, David Hall, invented real-time surround view lidar systems, revolutionizing perception and autonomy for automotive, new mobility, mapping, robotics, and security. 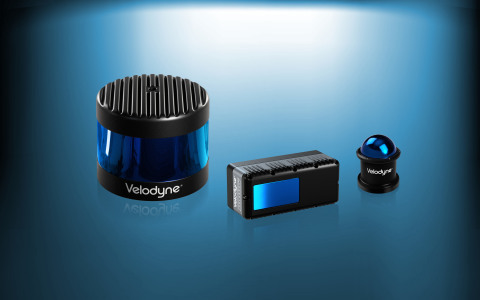 Velodyne’s high-performance product line includes a broad range of sensing solutions, including the cost-effective Puck™, the versatile Ultra Puck™, the perfect for L4-L5 autonomy Alpha Puck™, the ultra-wide angle VelaDome™, and the ADAS-optimized Velarray™. Velodyne Lidar, Inc. today introduced trailblazing technology that will serve as the cornerstone of future advanced driving safety systems.